Guangxi is a province in South China lying to the east of Yunnan and south of Hunan Province. The climate is humid and tropical with a mountainous terrain. Teas grown in Guangxi include Black Teas, Green Teas and White Teas. The Province is famous for growing Sweet Osmanthus Flowers which are used to scent and flavour tea ( Sweet Osmanthus Guangxi Guihua ). Guangxi also produces some fine quality hand crafted teas for example the very wonderful Golden Black Tea named “Black Spiral” for its super wiry leaf. 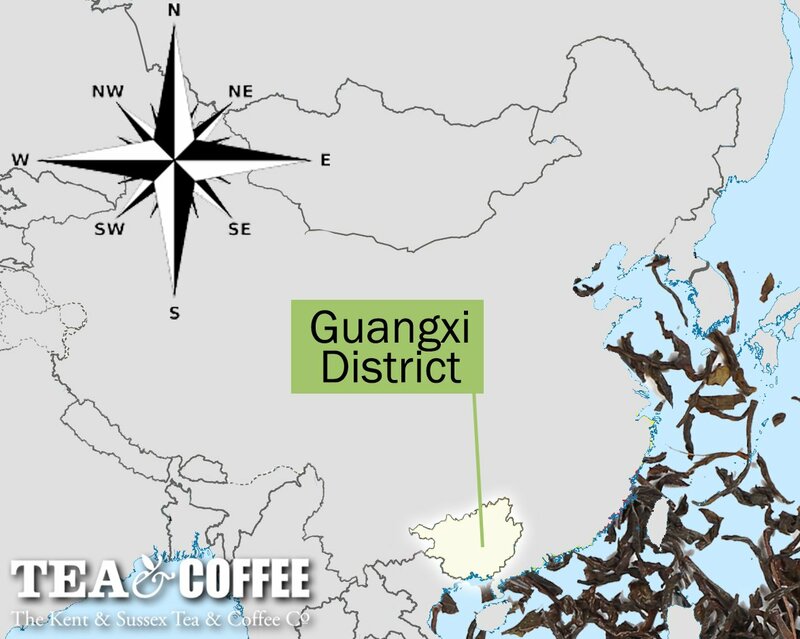 To the South of Guangxi Province is Vietnam which with Chinese influences has in recent years been producing some very good quality Teas.